Next year, the state Department of Education will start accepting applications for an award for fluency in two languages, a skill that has tangible benefits for Maine students. When Maine – one of the least diverse states in the country – has high schools with students who speak any one of dozens of languages, you know the world is shrinking. That’s why were glad to see Maine join the Seal of Biliteracy initiative. Starting in May, the Maine Department of Education will accept applications for the award, which is already available in 32 states and Washington, D.C. – as well as Portland Public Schools, where about 60 languages are spoken. It allows students to demonstrate proficiency in English and another language, and show off that proficiency to colleges and prospective employers. The program is designed to help both students who grew up speaking English and those for whom it is a second language. For people for whom English is a first language, the Seal of Biliteracy is an incentive to study world languages, something that not only looks good on a resume and has obvious practical applications, but also has a cognitive benefit – studies have shown that learning other languages essentially rewires the brain, using it in ways it wouldn’t otherwise be used. For students who come here from another country, the award is a counterpoint to all negative stereotypes about immigrants. Many immigrants are looked down upon for their not-quite-fluent English, even when most Mainers can’t remember more than a few words of the Spanish or French they learned in school, let alone demonstrate a mastery of Chinese or Somali. Recognizing those students as they become proficient in English alongside the continued use of their first language affirms that they have a place in this country, and that they can honor the culture of their homeland at the same time they become part of ours. California, which recognized 10,000 students in the first year they offered the Seal of Biliteracy in 2014, found that when considering two otherwise comparable job applicants, employers would prefer the one who had demonstrated their proficiency in more than one language by earning the biliteracy award. The state also found that English-as-a-second-language students were more likely to stay in school and go to college if they took part in the initiative. Those are both good things, and there may be other benefits. Education Commissioner Robert Hasson told Maine Public Radio that he hopes offering the Seal of Biliteracy will encourage more students to take world languages. It also could spur more schools to offer language classes. That’s certainly a challenge. 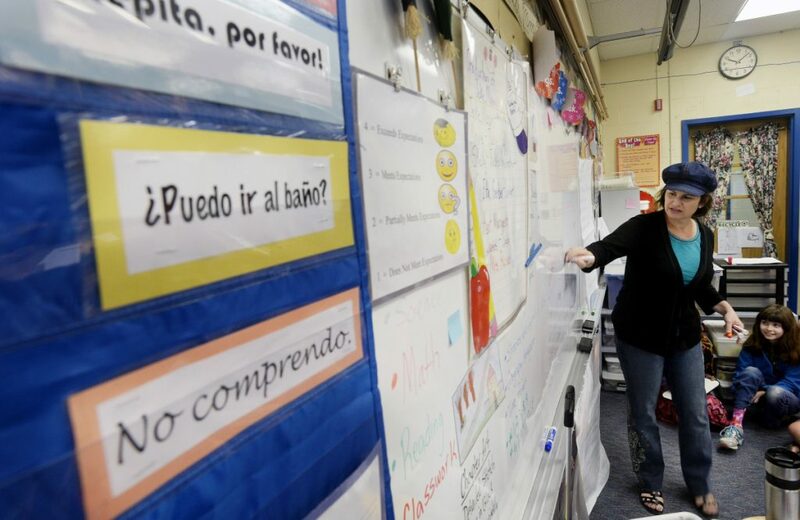 Maine is facing a shortage of foreign language educators, particularly in rural areas. And when budgets get tight – and they are always tight – languages are often left out. That could be harder to do now that students can be further recognized for their language studies. As students seek out that recognition, they and their parents may demand more opportunities.